This level has medium difficulty. 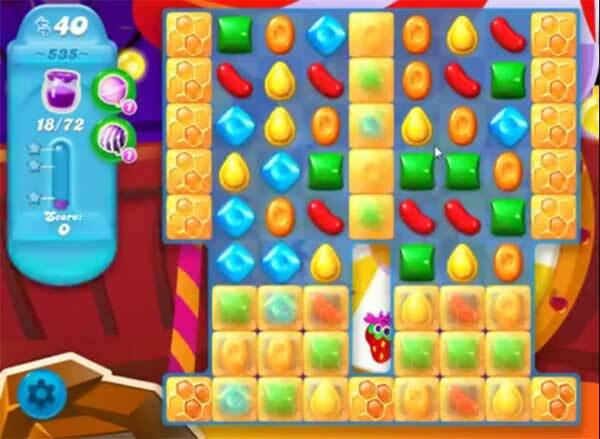 For this level try to play from bottom to break the blockers plus it will shuffle the candies and will give chance to make special candy. Combine special candies with each other or play near to jam to spread them to near candies. When I push to start level 535 it wants me to clear levels 423, 427, 433, 441 & 451. I HAVE ALREADY tried and cleared these a couple of times but they will not give me the gift it says I should get. Am I missing something?